Horse artillery units are distinguished from other types of artillery forces because everyone rides into battle: drivers ride the horses, while gun crews are often given seats on the gun limbers. The cannons assigned to horse artillery units usually fire relatively small calibre rounds although, as always, the weight of shot is used to designate different horse artillery types. The weight of fire is considered to be less important than the speed with which it can be moved to a firing position, deployed, and then removed to a new site. This is what gives horse artillery its appeal to generals: the ability to rapidly give fire from almost anywhere on the battlefield. 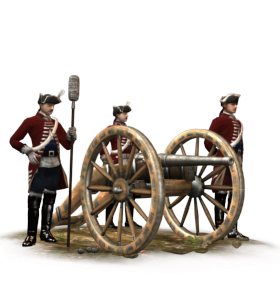 Horse artillery can be used as a flexible reserve, or to exploit a weakness in an enemy line. Historically, in many countries horse artillery developed a cavalry-like air of being an elite force. This attitude is entirely understandable. Dragging heavy artillery pieces across country at the gallop is an inherently dangerous thing to do, even without people shooting at you!